Is labour law armageddon on the horizon in Ontario? model will soon come under attack. This concern arises not so much from anything Doug Ford has said, and not because of anything specific found in the Conservative platform, which was notoriously skimpy on details and full of slogans targeting a dumbed down electorate (see “Help is on the way”, “For the People”, and “One Dollar Beer”). This time, the Conservatives were conspicuously quiet on labour law reform during the campaign, perhaps learning from past election debacles that anti-labour rhetoric as the cornerstone of the campaign is not a successful tactic. But make no mistake. A Conservative majority is back, and we should anticipate that labour law eventually will be in their sight lines. No doubt the public sector will experience significant labour-related battles as the Ford government moves to contract out good paying government jobs. In this post, I want to focus in on what changes we might see to the Labour Relations Act and the system of private sector collective bargaining in Ontario. Unions represent only about 16% of private sector workers, but Conservatives nevertheless have a long history of blaming collective bargaining, unions, and labour law for all sorts of economic woes. I expect the same narrative to begin soon. There are code words in the Conservative Platform that those of us with long memories instantly recognize. Doug Ford’s Platform promises reforms that will demonstrate that Ontario is “open for business” and that “cut red tape“. These promises also sound like overused slogans, but those of us around during the Mike Harris days of the mid 1990s, when the Conservatives last turned their attention to labour law, remember very well what that language meant then. Back then, “cutting red tape” meant cutting many public services and protective regulation (remember Walkerton? ), and “open for business” meant tax cuts and, importantly for our purposes, labour law reforms that reduced protections for workers and impeded access to collective bargaining. In 1995, the Conservatives passed Bill 7, which introduced for the first time in Ontario history a two-step union certification process that requires unions to both collect membership cards on behalf of 40% of the bargaining unit employees and then also win a certification vote [known as the mandatory ballot model, as explained in Chapter 39 of The Law of Work]. Bill 7 also repealed: a prohibition on strike replacement workers; blocked automatic access to first contract arbitration; de-combined bargaining units represented by the same union at the same employer that had been combined under the previous labour laws; removed the right of the labour board to reinstate on an interim basis terminated employees alleged to have been terminated for union activities; the successorship provisions that protected contracted service sector workers in the event their employer lost a tender. It also required employers to inform employees on how to decertify a union. A couple of years after Bill 7, the Conservatives introduced Bill 31 at the request of Walmart, which was pissed off that its unlawful threats to close a store in Windsor if employees voted for a union led the Labour Board to certify the United Steelworkers. The “Walmart Bill”, as it became known, repealed the authority of the labour board to certify a union as a remedy for serious illegal acts committed by a company during a union organizing campaign (“remedial certification”). This law emboldened companies like Brampton’s Baron Metal, which hired violent gang members to roam the factory threatening death or physical harm to workers who voted for the Steelworkers in an upcoming mandatory certification vote. Since the Conservatives had repealed remedial certification, all that the labour board could do was order another certification vote with some conditions. Not surprisingly, the union lost that vote. So in the 1990s, “open for business” in Conservative-speak meant gutting labour law protections designed to facilitate collective bargaining and protect workers from retaliation by employers bent on punishing union supporters. The presumptive theory was that employers would flock to Ontario to take advantage of laws that impede collective bargaining and make life difficult for union supporting employees. With BALANCE RESTORED, a strong signal will go out to the global community that Ontario is ONCE AGAIN OPEN FOR BUSINESS and jobs. We are prepared to do that. With the introduction of Bill 7 on October 4, we sent out that signal to the global community that Ontario is OPEN FOR BUSINESS. Expect to hear this political speak ad nausea in the coming months. It would not surprise me if the 1995 speeches are repeated almost verbatim [If you want to read those speeches during the Bill 7 debates, follow this link and stroll to the bottom]. Say Good-Bye to the Labour Relations Act Changes in the Liberal’s Bill 148? The Liberals under Dalton McGuinty and Kathleen Wynn eventually repealed most of the Conservatives’ 1990s anti-collective bargaining agenda. Remedial certification was re-introduced, as was interim reinstatement of terminated union supporters. Employers are no longer required (or permitted) to provide information to employees on how to de-certify. However, the Liberals kept the mandatory vote certification model for all sectors except construction, where the one-step “card check” model was re-introduced. More recently, in Bill 148, the Liberals expanded the card-check option to the building services, home care, and community services sectors, and to temporary help agencies. I anticipate that the Conservatives will repeal “card check certification” entirely and reinstate mandatory ballots across the board. Given their ideological position that votes are the only democratic way to test employee wishes, and their desire to weaken unions and stall the expansion of collective bargaining, it is difficult to see how card-check survives in any sector. Unions are more successful in winning new members under the one-step card-check model than under the two-step mandatory vote model. Nor would it be surprising if the Conservatives repeal all of the other changes to the Labour Relations Act found in Bill 148, which were each intended in some manner to make access to collective bargaining easier. Since the Tories do not want to develop collective bargaining, this law seems to be inconsistent with their ideology. Indeed, the entire premise of the Liberals Changing Workplaces Review–that the changing labour market requires new types of beefed up protections for precarious workers–conflicts with the standard Conservative view that labour markets should be left to function freely, with only limited government intervention. Employers barely participated in the consultations during the CWR process and insisted instead that everything was fine or alternatively that protective laws should be weakened, not strengthened. Therefore, you know that employer groups are already lobbying for repeal of all or some of the Liberal’s expanded statutory protections. There is little reason to believe the Conservatives will not listen to these cries. As I described in an earlier post, Bill 148 changes include easier access to remedial certification and to first contract arbitration when a collective agreement is not reached through negotiations. The Conservatives are not interested in expanding the reach of collective bargaining, so why would they support any law that intends to embed collective bargaining against the wishes of an employer. That is what first contract arbitration does. Similarly, I expect that Doug Ford’s Conservatives will repeal the Bill 148 power conferred on the labour board to consolidate bargaining units when doing so would “contribute to the development of collective bargaining in an industry”, or at a minimum they will give employers a vito. Bill 148 includes a new requirement for employers to provide unions with a list of employees during an organizing campaign. This requirement makes perfect sense if you believe the law is intended to encourage an informed employee choice on whether collective bargaining is for them. However if you do not believe in collective bargaining, the law will seem an unwarranted intrusion into employer and employee privacy. Is the Wagner Model That Has Guided Canadian Labour Law Since the 1940s’ Up For Debate? Tinkering with the Labour Relations Act to benefit anti-collective bargaining interests seems inevitable. However, something much grander in scale may also be in the political mix. The Conservatives may see this majority government as their opportunity at last to revisit the entire labour law model as we have known it for nearly 70 years. We need only go back to the last election in 2014 to see what the Conservatives might have in mind. You may recall that, unlike in this campaign, labour law reform was very much front and centre in the Conservative platform of then leader Tim Hudak. I discussed the Conservative’s platform back then. Tim Hudak’s ill advised promise to gut “100,000 public sector jobs” received most of the attention, but he had also promised a generational reform of labour law. bargain clauses requiring all bargaining unit employees pay union dues to cover the costs of union services such as contract bargaining and administration. Later in the campaign, he backed off that, conceding that abolishing the Rand Formula wouldn’t “have the scope or the power to fix the issues that are threatening 100% of manufacturing jobs”. 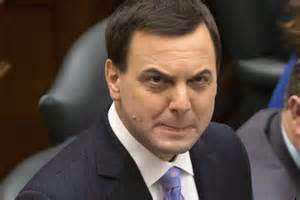 However Hudak concluded that same speech with the ominous and vague threat that the Conservative agenda “is a lot bigger, and lot more ambitious” than just repealing a union dues law. What could that mean? A clue emerged around the same time in the form of a private member’s bill, introduced by rogue Conservative MPP Randy Hillier called Bill 64, Defending Employees’ Rights Act (Collective Bargaining and Financial Disclosure by Trade Unions. This Bill attracted attention during the campaign because Hillier claimed it was backed by the Party, although Hudak never publicly admitted this. Bill 64 would not have repealed the Rand Formula. It would have completely re-drawn the boundaries of collective bargaining law in a few quick strokes of a legislator’s pen. Bill 64 would have permitted any employee at a unionized workplace to simply opt out of the collective agreement entirely, while banning mandatory union membership clauses and the use of union dues for political purposes. The Bill created inconsistencies within the overall scheme of the Labour Relations Act, as Professor Brian Langille and labour lawyer Josh Mandryk explained in this paper and was probably unworkable in practice. However, Hillier’s Bill should not be dismissed now that the Tories have a majority government, because it may signal a strand of thought that is still supported within the Conservative Party. The idea of revisiting the two pillars of the Wagner Model of labour law, exclusivity and majoritism, may be the grander mission Hudak was describing (see Chapter 39 [The Unionization Process] of The Law of Work). Since the 1940s, Canadian labour law has granted “exclusive” bargaining rights to a single union that can demonstrate majority support in a defined bargaining unit, or grouping of employees of a single employer that makes sense for collective bargaining purposes. This means that workers who did not support the union are still covered by the collective agreement the union bargains, and usually must pay union dues on the theory that a majority of their coworkers wanted collective bargaining, they receive the benefits the union bargains, and the union is legally required to represent all bargaining unit employees. This is the deal the Rand Formula endorses. The Conservatives may intend to challenge this model and fundamentally rewrite the rules of collective bargaining. If they do so, it is almost certain that the objectives will be threefold: (1) to weaken unions and impede any expansion of collective bargaining; (2) to restrict collective bargaining and collective agreement to workers who desire it and permit employees who don’t to opt out of some or all of union representation or union dues payment; and (3) to cut off union funding that is used for political purposes, including attacking Conservative policies in public marketing campaigns. On the first two points, Conservatives will look to models that permit employees to opt out of union membership and union dues. What that model would look like remains uncertain, but I bet you a nickel that Conservative thinkers and business lobbies are already brainstorming about this. The model could look something like that found in the Hillier Bill, or take some other form entirely. The Conservatives may look south of the border for some possibilities, perhaps with the idea of moving Ontario labour law more in line with US law as a way of easing concerns by American corporations weary of a Ontario legal model they perceive to be too “union friendly”. For example, maybe the Conservatives will consider moving away from the “quick vote” certification model and towards the longer campaign periods that characterize the American system, or watering down the job rights of strikers to more closely align with the American model in which it is lawful in many cases to permanently replace strikers. And, with some irony, the Conservatives might also look to the Supreme Court’s freedom of association jurisprudence. Unions have poured hundreds of thousands of dollars into Charter litigation hoping to expand the scope of freedom of association, with considerable success. The Supreme Court has recognized a constitutional right to collective bargaining and to strike. However, the Court has also been clear it is not constitutionalizing the Wagner model of majoritism and exclusivity and that other forms of collective bargaining are permissible. There is a lot of room for experiment with different forms of collective representation, many of which provide a lesser ranger of protections for unions and workers than the Wagner Model developed in the Labour Relations Act. Whatever form it takes, it is certainly possible to imagine a majority Conservative government exploring systems of non-majority collective bargaining that would severally challenge and weaken the labour movement. On the third point, the path is clearer. 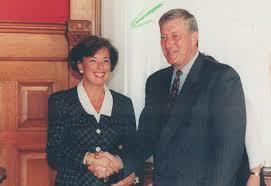 The Hillier Bill and the Harper government already targeted the use of union dues for political purposes. Hillier’s Bill would have permitted any employee to opt out of a collective agreement and for employees who did not, it required expressed consent by an employee for the deduction of any portion of dues relating to any purpose other than collective bargaining issues. I expect that, at a minimum, the Conservatives will require Ontario unions to publish expenses included a breakdown of money spent for “political purposes”, however that is defined. I would not be surprised if a law also permits employees to opt out of paying that portion of dues, similar to the law in the United States. To circle back to my opening point, none of the changes I have pondered here are based on anything the Conservatives have said they will do, and I have no inside sources. All I have done in this post is draw on history as an aid to a theory on where a majority Conservative government might go in Ontario in 2018. It is possible that Doug Ford may elect not to fundamentally overhaul the labour law regime and to avoid open warfare with the labour movement. He may choose merely to tinker with the Labour Relations Act but not embark on a rewriting of the model. This more (small c) conservative approach would be consistent with the language of his platform, which does not mention labour law reform expressly. On the other hand, there are hawks in the Conservative Party that will certainly see this as an opportunity to kick it to unions, which are are perceived as a political foe. There are also no doubt Conservatives who believe that collective bargaining is bad for the economy and that any law that requires people to be covered by a collective agreement against their wishes should be repealed. These voices will carry considerable force in the road ahead, and if their wishes translate into policy reforms, we can anticipate a new wave of labour protests like those that filled Ontario’s streets throughout the late 1990s. 2 Responses to What Might the Doug Ford Conservatives Do to Labour Law? 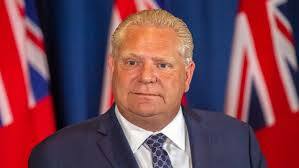 I have no respect for Doug ford at all, we the people did a big mistake by voting for this low life man, he is not for the working people by stopping min wage at $14.00/hr he pissed off a lot of people……Hey Douggie can you live on $14.00/hr ! Stop Ford from denying us the right to transparency of the actions of his government. Now we need those rights more than ever.